© Copyright FFTC.club by Alexander Dachlauer - 2017-2019 – all rights to the FFTC.club reserved! The copyright holder is in the following as FFTC. All rights to the FFTC contents (i.e. photos & text) are reserved by the FFTC.club by andante media unless stated otherwise. All rights to the ux-design including the pictures are reserved by FFTC. Any use of the software, any use of the content especially the FFTC Members Area content, any publishing, copying or provision in other electronic ways or any use of the artwork and text including the pictures and links and or any screenshots of the FFTC Members Area is prohibited without the written permission of the rights owner. Third parties rights especially the FFTC Members Area content are published under a written permission from the origin rights owner. The user and the FFTC Members will receive a personal but non-exclusive and non-transferable right to access the FFTC Members Area and the related digital services of the FFTC.club (Website). Users are not permitted to publish, replicate or copy the FFTC Members Area content on or to other media or physical storage devices, the Internet or any file-sharing or social networks. In general, any commercial use is strictly forbidden. We appreciate your understanding that we will pursue every single case of abuse. By signing up the FFTC Membership, or by free registration to login and accessing the FFTC Members Area, you will be deemed to have read, understood, and accepted these terms. To access the FFTC Members Area, specific electronic devices are required (iOS devices like iPhone, iPad, any other Smartphone, a MAC Computer or a PC). You also require some software and, for connecting to the Internet, you need an Internet service provider. This means you need devices and/or services from third parties to access the FFTC Members Area. These services are to be paid for separately and by yourself. Consequently the FFTC is neither responsible nor liable for these devices, services and third party software. Your privacy is very important to us. We only use the data you submit to provide you with the best FFTC Membership services and to make using the FFTC Members Area as user-friendly as possible. We only store personal and non-personal data on SSL/TLS-secured web servers. All our devices that have access to this users´ personal data are password protected and encrypted. All our websites are HTTPS-encrypted. Our website host provider use TLS version 1.2. The secure connection shows as small green lock symbol in the address bar of your web browser. It is one of our company philosophies that we do not transfer your private information to any other third party in any commercial relationship. To ensure all expected FFTC Membership services are provided, it may be necessary in some cases to involve a third party as a service provider (for example for newsletter processing or post mailings). First, we need the Website Hoster to give access to the FFTC Members Area. For the personalization process of your FFTC.club Member Card, we need a third party manufacturer and some lettershop service provider to send the FFTC Card to you. If we transfer any personal data to third parties for any services we provide to FTTC Members, the company involved must guarantee that it will handle all the data provided carefully according to the new Genereal Data Protection Regulation (“GDPR”). They are not permitted to make any copies or to transfer the data to unauthorized third parties which are not covered by and / or named in the individual Data Processing Agreements. For this reason we signed several Data Processing Agreements with following involved partners: JIMDO (1 includes service provider 2, 4), NOVO (3), and MailChimp (5). 1. FFTC.club websites (www.fftc.club / www.members-area.fftc.club ) are hosted by JIMDO GmbH, Stresemannstrasse 375, 22761 Hamburg, Germany. 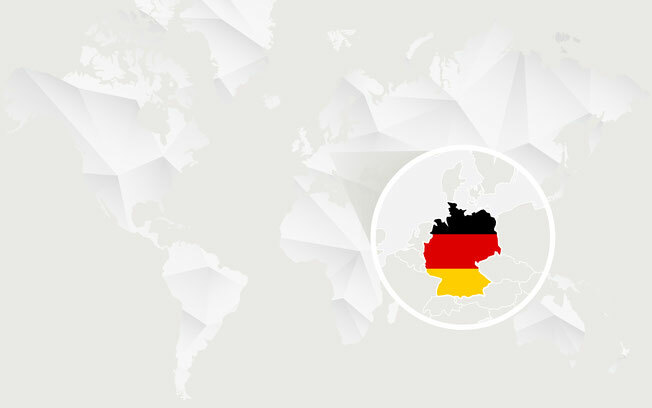 All webservers are SSL/TLS-secured and located within the EU. 3. FFTC Members Card are produced and fulfilled by NOVO Organisationsmittel GmbH, Lievelingsweg 102-104, 53119 Bonn, Germany. Our website www.members-area.fftc.club embeds (using iframe technology) a lot of external third party websites which are not covered by this privacy statement and may track users or collect user data. Especially the IP address will be transferred by accessing the FFTC Members Area to several websites around the world. Why are there no alternatives? 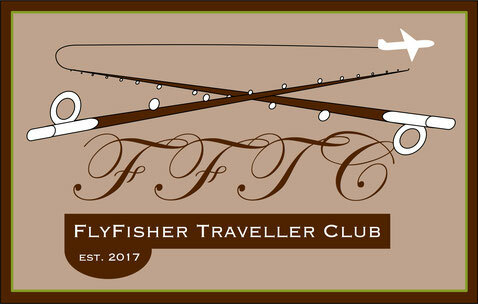 The main function of the FFTC.club Members Area is being a platform to inform about Fly Fishing destinations and Fly Fishing guiding services all around the globe.  No matter if you are registered for free or if you have a valid FFTC Membership our visitors expect the best overview of worldwide travel destinations for Fly Fishers. To provide the best service we use the iframe technology to embed third party websites (Guest Members / industry brands / Google Maps) and we embed YouTube videos and Google Maps to the related FFTC digital profiles of other FFTC Members. We are not able to provide a FFTC Members Area without these embedded third party websites. You must be aware that these third party websites may collect personal data, including your IP address, your web browser information and language settings, maybe your location and other personal data. Basically, they may collect the same personal data if you visit these websites directly or outside the FFTC Members Area. At the FFTC Members Area you find a lot of third party website for your special interest – Fly Fishing destinations around the globe. This is what you are looking for and the main reason for your free registration or your FFTC Membership. We are not tracking the FFTC Members Area in relation to your activities on the website. For this reason, we are not able to provide any kind of report about your browsing activities within the FFTC Members Area on your request and we are not able to delete any digital footprints (personal data transfers) which are transferred by accessing the FFTC Members Area to any embedded third party website. The FFTC Members Area is a complex website full of information which we research, collect, and create to provide you the best user satisfaction that is possible. The FFTC Members Area provides you a direct access to all this information mostly without clicking any external links. You can get in touch with FFTC Partners, other FFTC Members, and you have a free access directly to the third party websites of our Guest Members full of helpful information. This is the user experience you expect. Not only for this reason is the concept of the FFTC.club absolutely unique. We are working on to being the best source on the Internet for the Travelling Fly Fisher. This ambitious goal is our main focus. We (and our Web Hoster, JIMDO) are also able to collect some non-personal data while the FFTC Websites are used. This non-personal data is completely anonymous. In no event does it provide information on or allow access to any specific user. The FFTC (and our Web Hoster, JIMDO) needs no extra permission for any kind of use of this non-personal data. We collect this non-personal data to gather helpful information about the daily use of the FFTC.club website and the FFTC Members Area. This will help us to find out which features are loved and specific areas where we need to improve the FFTC.club. Please take care of your private data. We handle it very carefully! You have the right to inform you about the personal data we have collected, stored and processed. On your personal request we will let you know, which personal data we still have available. If you wish to delete all this personal data or to correct your personal data, please contact us via email at contact@fftc.club. We will get back to you as soon as possible with all the information you need. To access, correct, update, move or request deletion of your personal information. The FFTC.club takes reasonable steps to ensure that the data is collected only for its intended use, accurate, complete, and up to date.